This source offers a look at various factors that would demonstrate the relative ease or difficulty of starting a business in a great number of global economies. This is produced by the International Finance Corporation. These are electronic versions of the annual print reports on the regulations affecting business. The economies can be grouped by high or low or middle incomes, and will allow you to create reports. You can create a report on a number of topics, such as employment laws, enforcing contracts, property ownership, paying taxes among others. There are also sub-national reports for major metropolitan areas. Rankings of countries by various factors such as ease of doing business, or getting construction permits, getting credit and employing workers among others. Copyright law has been long a fascination with me. And I spent over nine years selling comic books. So the news that Jack Kirby’s four children filed notices of copyright termination for 45 Marvel Comics characters fascinated me. 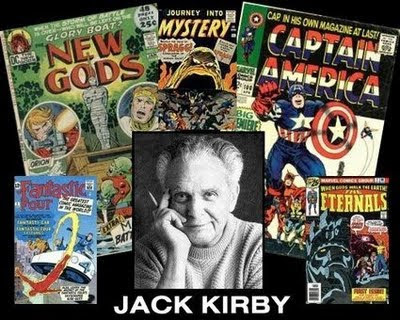 Wait, you ask, who is Jack Kirby (August 28, 1917 – February 6, 1994)? He was only the co-creator of such characters as the Fantastic Four, the X-Men, the Avengers, and the Hulk in the 1960s for Marvel Comics, plus many more before and after that period for a variety of publishers. I even got to interview him once. 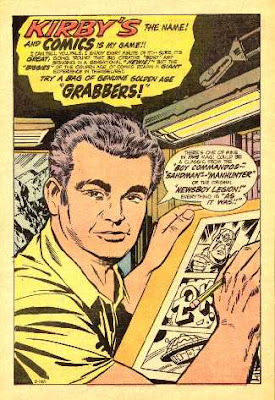 But didn't Kirby sign a standard "work for hire" contract? That's a bit murky, but so was the "work for hire" provision before its 1976 revision. The LA Times has details. Copyright termination allows creators to apply for copyright reassignment after the term of the original contract runs out. Under copyright law, creators and co-creators can seek to regain copyrights they previously assigned to a company 56 years after first publication and can give notice of their intentions to do so up to 10 years before that. Kirby’s children would be eligible to claim their father’s share of the copyright of the Fantastic Four in 2017, while the Hulk would come up in 2018 and X-Men in 2019. The copyrights would then run for 39 more years before expiring, after which the characters would enter the public domain under current law. The Kirby family is starting that process now with hopes of gaining an interest or, perhaps, a settlement. 20. I assigned my copyright to a publisher under a contract that did not mention the renewal term specifically. Did he get it anyway? No. It is generally accepted that in order for the original publisher to have acquired the renewal copyright, the grant to him had to specify that the assignment from you included copyright renewals. If it did not, you own the renewal copyright and can assign it to a different publisher. However, this only applies to United States renewal rights. Even if the original assignment was silent on renewals, the first-term publisher will continue to control the work for the rest of the world, because of the single copyright term in effect in most other countries. Even if the publisher were granted the renewal term, if the granting composer died during the first copyright term, the publisher’s U.S. rights are cut off in favor of the composer’s heirs, who can make a new grant of the renewal copyright to whomever they choose, or keep it for themselves. If the composer’s death occurred in the 28th year of copyright after Form RE was filed, however, the renewal rights remain with the publisher. 21. I signed a songwriter agreement with a publisher some time ago giving him the right to my copyright renewal term, among other things. Since the law would have given me 39 extra years of copyright if I had kept the renewal term, can I get back those 39 years from my publisher? Yes! If you signed away the renewal term of your copyright before January 1, 1978, the law provides a detailed procedure by which you can retrieve the last 39 years of it, allowing you to make a new deal with the same publisher, assign it to a new publisher or keep it yourself. Be aware that your assignment of the renewal term assigned the full 67 years. The 39 retrievable years must be recaptured specifically as the law requires or the publisher keeps them. Detailed instructions can be found in the Code of Federal Regulations, Section 201.10, which you can access here. I'm as guilty as the next person when it comes to using search engines - I tend to use one search engine for every search. Obviously, I use databases and specific resources when I am doing research, but if I want to start a search from scratch, I head straight to Google. If I were to search for a video or audio file, I use Google. If I want to search for a topic or article, I use Google. But by doing this, I am limiting myself. There are hundreds of search engines available for use and many of them are geared toward searching for a specific type of file or result. 100+ Alternative Search Engines You Should Know lists many niche search engines that allow the searcher "to search for the things you’re looking for, and because they are more focused, their results tend to be more accurate." For example, MyPlick is a free service that lets you share, embed and discover presentations and slide shows online. TooDoc searches the web for PDF files and nothing else. You can even use LazyLibrary to find books on any topic that are less than 200 pages long. So while Google is still my go to search engine, from now on, I will be expanding my choices for better search results. At the ASBDC conference in Orlando, I went to a presentation by Jan Zimmerman, author of Web Marketing For Dummies. On that book’s web page, she offers some tools helpful to clients planning a website or selecting a web developer. There’s a planning form, web marketing spreadsheet to analyze costs and sales objectives, and a website assessment form which might be really useful for advisors wanting to offer feedback on client sites. All these tools can be downloaded here. Jan also discussed how we typically read websites (ie, not very thoroughly, most important things should be in the upper right, then left side, middle is often less important. ) If you’re interested in learning more about where the eye travels when viewing a site, Jakob Nielsen offers several articles about eyetracking, with some great advice for website usability. Unsurprisingly, we at the Research Network are keen on blogs and blogging. But it's true that a blog that's not updated regularly is probably more problematic than no blog at all. Chris Crum over at Small Business Newz addresses this issue in Business Blogs Only Work if You Use Them. Chris notes that a business blog "can inspire trust and keep the public informed about your business activities. However, it's only going to be a great tool if it is maintained. "I realize an update every day is not always practical, but I wouldn't advise against it unless there is nothing to say. You probably don't want to force your writing, but regular updates are key to making sure people know you are taking the blog seriously, and it will give them reason to come back (or hopefully subscribe via RSS). If your business is on Twitter (or other social media sites), you might think blogging is unnecessary, but remember, blogging and tweeting can compliment each other." The article includes links about Twitter and RSS feeds. Are We Still in a Recession? There has been a lot of hype in the news lately about whether or not the recession has ending or is in the process of ending. Both President Obama and Ben Bernake, the chairman of the Federal Reserve Board, have stated that they believe the recession to be over, or at least near its end. Whether or not is has ended is certainly up for debate and below are articles from both sides of the argument. I've pulled together a few articles on developing a pricing strategy as this is something that comes up frequently. You need to keep this figure as low as possible. But do you know how to calculate the breakeven point when you sell multiple products? WASHINGTON— Small Business Administration Administrator Karen Mills and Department of Homeland Security Secretary Janet Napolitano announced the availability of a preparedness guide designed to assist small businesses in planning for the possibility of an H1N1 flu outbreak this fall. "Small Business owners should take the time to create a plan, talk with their employees and make sure they are prepared for flu season," said Mills. "For countless small businesses, having even one or two employees out for a few days has the potential to negatively impact operations and their bottom line. A thoughtful plan will help keep employees and their families healthy, as well as protect small businesses and local economies." Outbreaks of H1N1 flu are occurring now across the country and will likely coincide with the return of seasonal flu this fall and winter. The preparedness guide offers small business employers tools and information to help them plan for and respond flexibly to varying levels of severity of an H1N1 outbreak— which may lead to increased absenteeism, and, if the outbreak becomes more severe, may include restricted service capabilities and supply chain disruptions. Employers are encouraged to put strategies in place now to protect their employees and their businesses in advance of the fall flu season. Included in the preparedness guide are tips on how to write a continuity of operations plan, steps for keeping employees healthy, frequently asked questions about the 2009 H1N1 flu and a list of additional resources that employers can access online. To download the booklet please visit www.sba.gov/flu. Here's an article that appeared in yesterday's "Small Business" section on CNNMoney's website, titled "What's Your Idea Worth?" It features a website called the USA National Innovation Marketplace, the result of a partnership between the Manufacturing Extension Partnership and Planet Eureka!, the website of a consulting firm started by a private entrepreneur named Doug Hall. There are no shortage of matchmaking sites on the web. The stated innovation of this site is its use of a proprietary business simulation system known as Merwyn. In the words of the article, it "uses algorithms and human analysts to estimate the business potential of new product designs". The site also presents descriptions of inventions in plain language, avoiding the "geekspeak" that is an occupational hazard (and hindrance) to those seeking manufacturers of their creations. The site also enables manufacturers to seek technologies that will enable them to seek out new options for expensive equipment formerly used to manufacture outmoded technologies (for example . . . the need for compact discs isn't what it used to be). This is a new partnership (it started in May), so the sample size needed to gauge whether it's been a success is pretty small. However, visit the site. We have no shortage of clients who are seeking partnerships with inventors of new technologies, or inventors who have little expertise in manufacturing but believe in their product. According to a May 2009 report from The Radicati Group, there are 1.4 billion email users in 2009, with some 247 billion emails are sent each day in 2009. But how many of these emails are effectively communicating the intended message? We have all heard about problems that can arise from using email, including loss of context and information overload. Writing an email that not only makes the point that you were going for, while also being short and sweet, is an art form. Below are articles that can help you write an email to deliver the intended message. Tired of the same old clip art? Bored with the usual stock photo people? How about a Garbage Pail Kid card to brighten up your blog post? (This one didn't seem too tasteless, and I am cold.) Even if Garbage Pail Kids aren't your thing, check out Mashable's list of 13 Fantastic and Fun Image Generators. Creating your own warning signs, magazine covers, movie posters, presidential seal, or comic book page, may be just what your next publication calls for. The Internet Intelligence IndexTM can assist you in gathering information to support your competitive intelligence efforts. It contains information from a variety of sources, including links to over 600 intelligence-related Internet sites, covering everything from macro-economic data to individual patent and stock quote information. The Internet Intelligence IndexTM is divided into three main categories: General Business Internet Resources, Industry-Internet Resources, and International Internet Resources. The Index is compiled by Fuld & Company, a top research and consulting firm in the areas of business and competitive intelligence. Will Your Business be a Success? 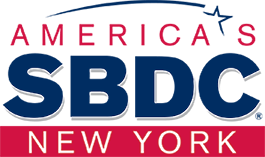 Clients come to the NYS SBDC with business ideas ranging from the norm to the weirdest business you can think of, and then some. While we never want to discourage an individual from following their dream, the reality is that not all small businesses will succeed. Often times the more specialized business ideas have more of a chance than the norm because the norm is what everyone else is doing. Yahoo Small Business recently published an article on the 7 Most Overrated Businesses. "The problem: Many would-be entrepreneurs are drawn to businesses they like to patronize or the ones that are cheapest and easiest to start. Instead, experts argue, aspiring entrepreneurs should create firms in which they have professional experience so they have a competitive advantage in the market." So if you were thinking about starting one of these types of business and I have now discouraged you, what can you do now? Well, you can check out the Most Successful U.S. Startups 2008. Or, if you are going for the cheap and easy business, check out Business Ideas on a Budget - 10 Legitimate Businesses You Can Start for Under $20. The collection of document templates on Google Docs seems to have increased - or I haven't been paying attention. For those with streamlined resources, they have a number of nice small business invoice templates on there, business plan impact statement, 24 month sales forecast, a presentation, project managament schedule, work schedules, budgets, business cards, cover sheets, and a "contact us" website form. Even with no money, a new business owner can pull a pretty sharp package together, even if it means sifting through some junk. Most people share their birthday with at least a few celebrities, but our Alexis is special. She shares her birthday with the Internet. Sept. 2, 1969 was "the day that the infant Internet took its first breath of life" when computer scientists at UCLA set up a network connection between two computers. Start Your Business Now . . . or Later? I'm sure that the story told by the author of this article from Inc. magazine is one that our clients have been telling for years. It seeks for the entrepreneur that hard-to-maintain balance between private life & business life, between family and company. I'm not precisely sure what to tell people who find themselves struggling with that, but the article seems to assert that optimism in a better future is a trait that any business owner has to possess before starting a business. For those who do . . . good luck! Occasionally, we've gotten questions about "technology" or "high tech". While we can get reports, there is no one business code that encompasses such a broad category. The AeA, formerly the American Electronics Association, "uses 45 SIC codes to define the high-technology industry." The organization recognizes that "these 45 SIC codes do not comprehensively cover the entire high-tech industry as the structure of the SIC system is limited. In an effort to produce solid statistics, AeA's definition consists of SIC codes that fall into three broad categories -- high-tech manufacturing, communications services, and software and computer-related services. It does not include broad categories if the high-tech portion does not represent a clear majority. Also, AeA's definition does not include many 'related' industries, such as biotechnology, engineering services, and research and testing services." Likewise, "the 49 NAICS codes that AeA has chosen for its definition of high tech."